Heat exchangers for swimming pools QWT-100 It is protected from a scaling! From stainless steel material V4A, электролитическое a covering and the colouring, two комбинировнные муфты, in the complete set the case from stainless steel with the built in coil, a glass for installation of the electronic temperature gauge. Working pressure: a primary contour 10 bars, a secondary contour 3 bar. Heat exchanger QWT 100-20 capacity пр to heat-carrier temperature 60°С - 13 kw, at темпеартуре 90°С - 20 kw. Heat exchanger QWT 100-30 capacity пр to heat-carrier temperature 60°С - 20 kw, at темпеартуре 90°С - 30 kw. Heat exchanger QWT 100-40 capacity пр to heat-carrier temperature 60°С - 28 kw, at темпеартуре 90°С - 40 kw. Heat exchanger QWT 100-70 capacity пр to heat-carrier temperature 60°С - 31 kw, at темпеартуре 90°С - 70 kw. 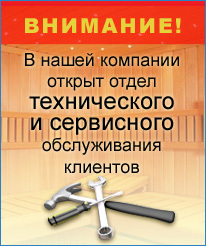 Heat exchangers for low temperature systems of heating 50°С/40°С. Heat exchanger SWT 100-20 capacity пр to heat-carrier temperature 50°С - 20 kw. Heat exchanger SWT 100-25 capacity пр to heat-carrier temperature 50°С - 25 kw. Heat exchanger SWT 100-40 capacity пр to heat-carrier temperature 50°С - 40 kw. Heat exchanger SWT 100-52 capacity пр to heat-carrier temperature 50°С - 52 kw. Heat exchangers from the titan for low temperature systems of heating 50°С/40°С. Heat exchangers for swimming pools WTI-100 It is protected from a scaling! From stainless steel material V4A and the titan, does not co-operate with the chlorine, two комбинировнные муфты, in the complete set the case from stainless steel with the built in coil, a glass for installation of the electronic temperature gauge. Working pressure: a primary contour 10 bars, a secondary contour 3 bar. Heat exchanger WTI 100-20 capacity пр to heat-carrier temperature 60°С - 14 kw, at темпеартуре 90°С - 22 kw. Heat exchanger WTI 100-30 capacity пр to heat-carrier temperature 60°С - 22 kw, at temperature 90°С - 33 kw. Heat exchanger WTI 100-40 capacity at heat-carrier temperature 60°С - 30 kw, at temperature 90°С - 44 kw. Heat exchanger WTI 100-70 capacity пр to heat-carrier temperature 60°С - 34 kw, at temperature 90°С - 77 kw. COMPACT Junior the heating block of 40 kw. Complete with the return valve, the holder from a high-quality steel and the circulating pump with a food cable. The heat exchanger electric of stainless steel V4A with the thermostat from 0-40°С, complete with the pressure relay, as a safety element at a water lack, the surface is painted. The heat exchanger electric of stainless steel V4A with the thermostat from 0-40°С, complete with the relay of a channel of water, as a safety element at a water lack, the surface is painted, two glutinous carving connections with the holder. Accessories to heat exchangers EWT Ten it is made of high-quality material Incoloy 825 for electric heat exchangers EWT 80-40/41, 70/71, and EWT 95-15 with a sealing ring 44х4. The relay of a channel of water R1/2"